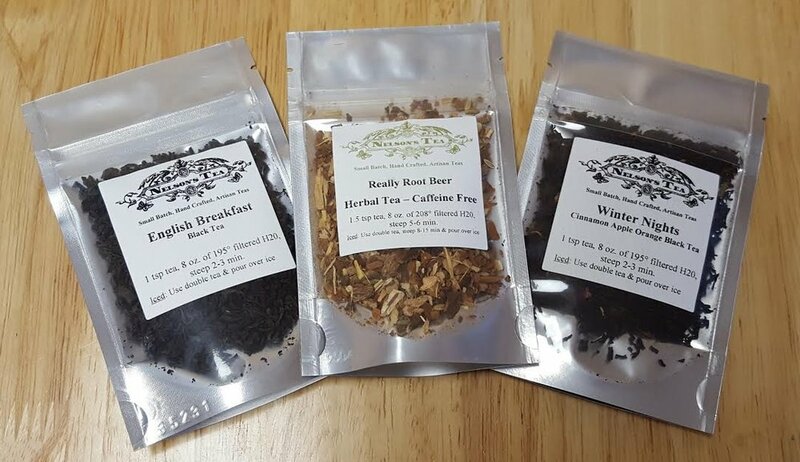 The January 2017 Tea Box Express included three teas, cookies, and even a tea press to kick off the new year. This handy North Bank Tea Press is made of Pyrex glass and stainless steel. The press is a perfect personal tea maker that makes brewing loose leaf tea simple and convenient. Just add tea and hot water, press, and pour! It even comes with its own coaster! English Breakfast - A classic! Really Root Beer - Tastes and smells like root beer. Really! Winter Nights - Sure to keep you warm this chilly month. Vanilla Salted Caramel S'mores, oh my! These unique "cubes of joy" from Malvi are fluffy handmade treats, each with a marshmallow sandwiched between two cookies.